Preheat your oven to 200?C/400?F/Gas Mark 6. Unroll the sponge and remove the baking parchment. Spread the chocolate filling over the surface of the sponge to about ¼ inch thick. Roll the cake up. 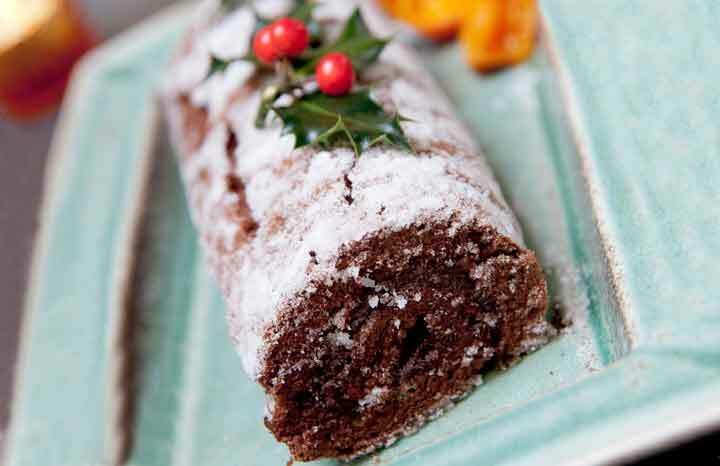 Make this tasty yule log a few days before Christmas!